Whirlybirds or wind driven fans have been around for ever, but lately there has been a lot of discussion about solar powered roof ventilators. So what is all the hype over solar fans about? Essentially, the focus at the moment is on the volume of air moved by the different roof ventilation fan types available. The average domestic whirlybird moves around 100 cbm/h – at around 12 km/h wind speed. It is hard to find this kind of data from the manufacturers of the wind driven fans – but there seems to be a consensus when surveying the different solar powered roof ventilation fan options that they are equivalent to 10 to 30 whirly birds. This is also in line with data published a while back after a conference at the Queensland University of technology by Shane West, from University of Technology, Sydney. The only wind driven fans with capacities comparable to solar roof ventilation fans, are industrial whirlybirds, which come in a variety of sizes and capacities – but once again – it is hard to find data. In Australia – the most well-known Industrial type is the Edmonds branded 900 mm Hurricane with a capacity of 2700 cbm/h at 12 km/h wind speed and 3400 cbm/h at 16 km/h. The problem is of course that they rely on the wind – and it may or may not be windy on the hot days when roof ventilation is needed the most. At the moment it is most unusual to see industrial whirlybirds used on homes – and even offices, day care institutions, retirement villages etc. – you really only see these very large units used for industrial ventilation of warehouses and ventilation of factories. 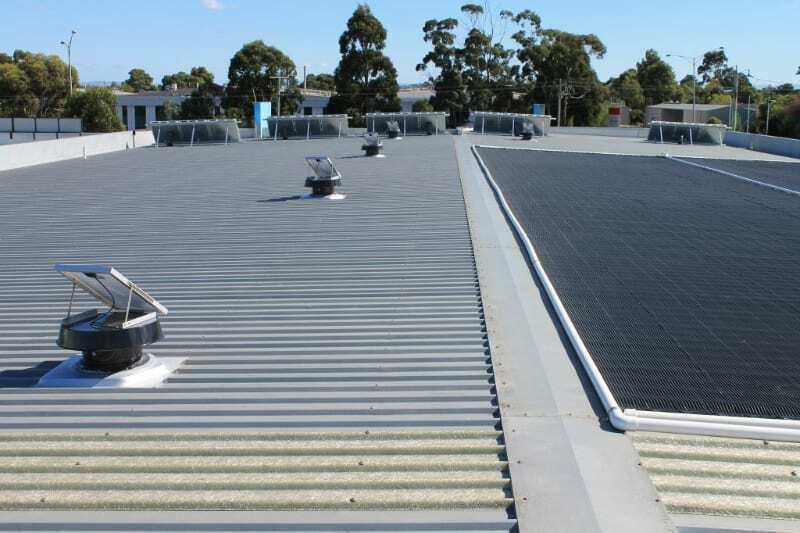 However, if you are looking for wind driven roof ventilation matching the solar ventilation alternatives – you really need to look at the large industrial whirly bird varieties which aren’t generally found at places like Bunnings and Masters. A couple of QLD based tradies tired of installing roof whirlybirds. I may not post regularly, but I try to post informative findings!